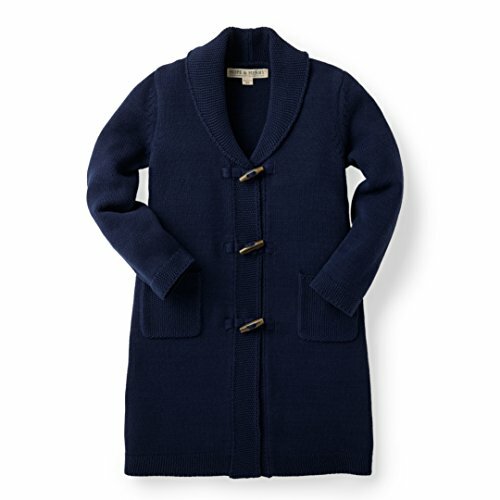 This long sweater cardigan will keep her so warm and cozy on chilly fall nights. Front pockets for her to tuck her hands into, three toggles on the front and a shawl collar all help keep her warm. 100% Organic Cotton, exclusive of trims. If you have any questions about this product by Hope & Henry, contact us by completing and submitting the form below. If you are looking for a specif part number, please include it with your message.